One of the first things I noticed about our new house when it was on the market, was the lighting. How about you, do you look twice at the light fixtures? 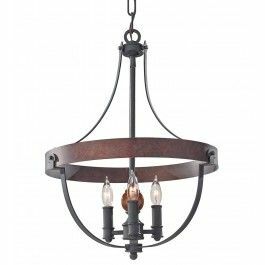 Beautiful and functional lighting fixtures are like "house jewelry"; they add pizazz and set the mood for the spaces they're in. 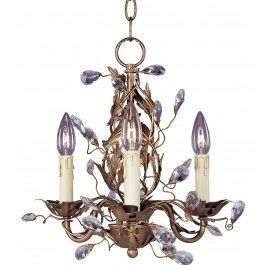 You can take a plain box of a room, and give it character and direction for decor with a chandelier, sconces, a pendant, and even table lamps. They can literally "light up" your rooms! This was the Entry (below) when we first bought the house. The light fixtures, especially the one here in the Entry, were pretty much "Plain Jane". Nothing wrong with it, but it just wasn't memorable. The Entry is our chance to make a statement, and this one really didn't have much to say. 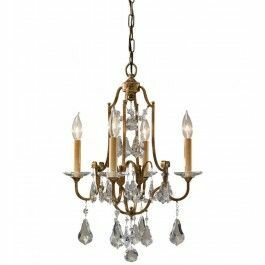 I had packed up my chandelier from our previous Dining Room, and had found a small Frenchy chandy for the kitchen, but what I really needed for this house, was Entry Lighting. 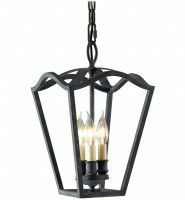 I had my heart set on a lantern, but it needed to be in a dark bronze finish to match the rest of the metal accents. So I started searching the Internet to see what was available. 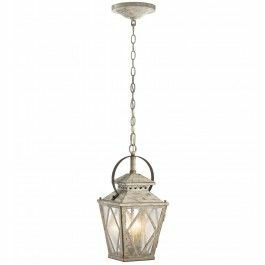 About that time, Lamps.Com contacted me about checking out their lighting. 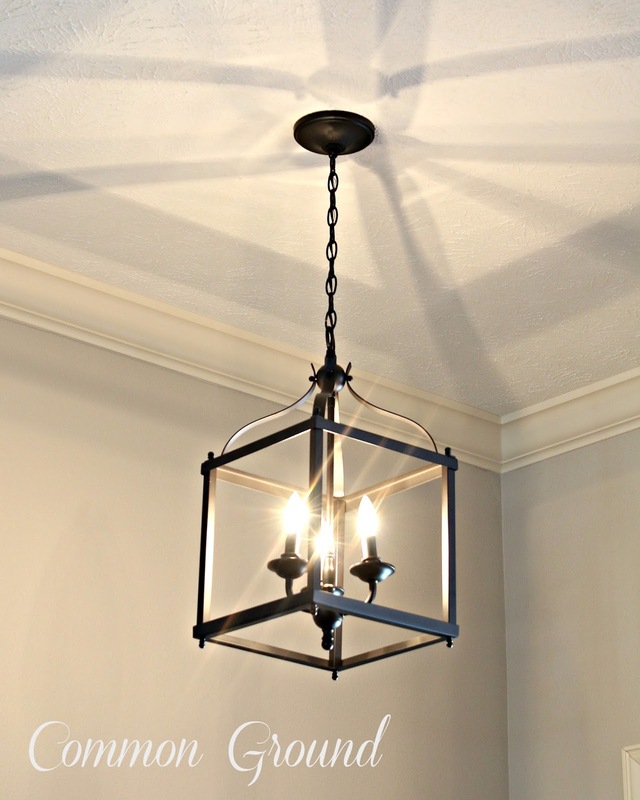 I was thrilled because they graciously sent me this wonderful lantern, the Larkin Three Light Pendant Lantern by Kichler that made my Entry go from blah to beautiful! 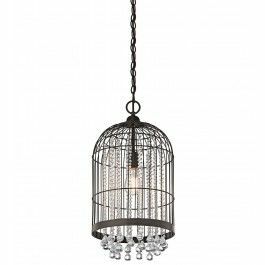 Just take a look at some of the wonderful Entry Pendants and Chandeliers that are available from Lamps.Com. On trend and beautiful... and they won't break your budget! 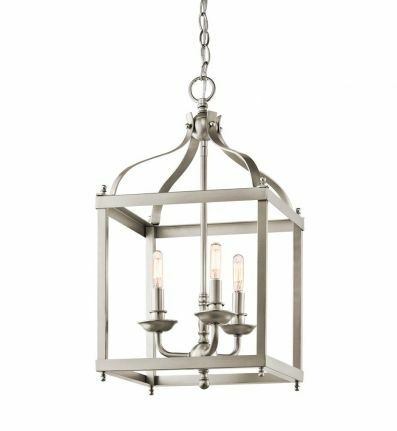 This first one is my Entry Lantern, only in brushed nickel. 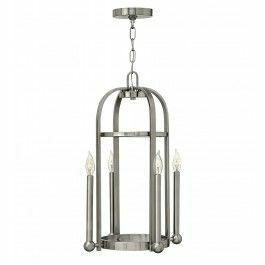 Here are more great Entry Pendants and Chandeliers from Lamps.Com that are available. These are some of my favorites and most are under $300.00. 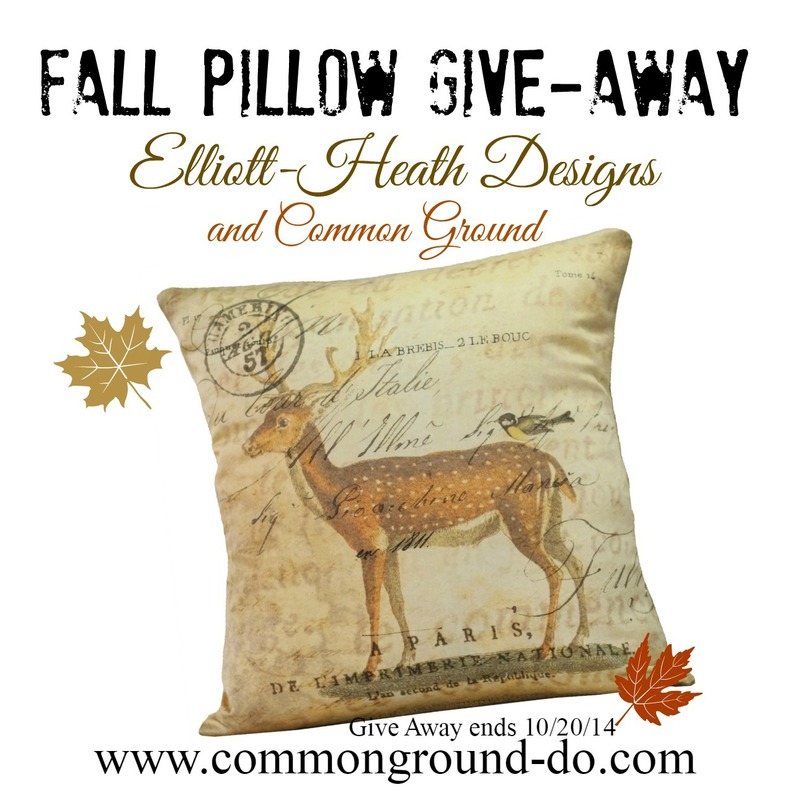 something for every decor style and budget. Here's a direct link to the Kichler Lighting page. If you've been thinking of updating your lighting, or just want something more functional or eye catching, check out Lamps.Com. Be sure and check out the new links for Furniture and Home Decor that Lamps.Com also has for you. I have a link on my sidebar to get you there. Stay tuned for more on my new lantern when I decorate the Entry! It truly is amazing what beautiful lighting can do for a room. Bravo! 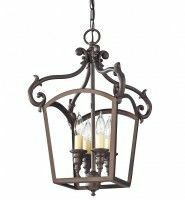 The Lantern lighting is an elegant statement in your entry, dear friend!!! I love the bronze finish!!! Perfect timing, as we are experiencing difficulties with some kitchen lighting fixtures. Perhaps it's time for some updating, as well. I'll check out Lamps.com site soon. 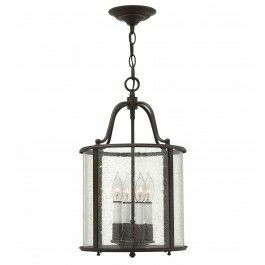 The lantern is gorgeous and so perfect for that spot! Wonderful choice! The light is so beautiful! I do notice lighting and it can make or break a space. I love your new choice Debra! And it's so fun to see the parallel road we're both on with our new homes. The lantern pendant makes a world of difference! It's lovely. I am going to check out the website you recommended because all of the lights in our home are original 1970's. They look tired and dated. Frankly, they do not even give off enough quality light. Thanks for the recommendation. Again, I love your new light! Oh my... this is gorgeous! I love the choice! Have a blessed day, HUGS! It is a gorgeous lamp...and what a statement it makes in the foyer. I haven't been to the site so that's for letting us know about it. I need to update some of ours here at the Charmer. Have a great week! I love lanterns. It's beautiful. Love all of the lighting pics. We had the same issue with our new house. It had builder light fixtures. So far I have replaced most of them! Yes...they can set the flavor for a room. 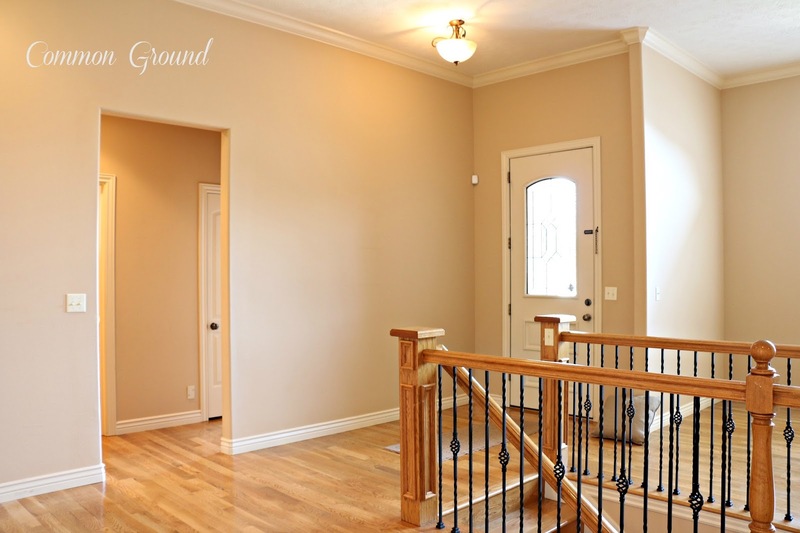 I want a huge one door our great room vaulted ceiling and will check out your source. Perfect timing for this post. 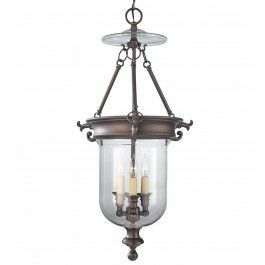 I have been looking for new fixtures for both my dinning room and entryway. I'm in love with your new entryway lighting and am very excited to have been introduced to a new place to shop. Thanks. Yeah so pretty. I love the shadows it cast on the ceiling too. Love it. 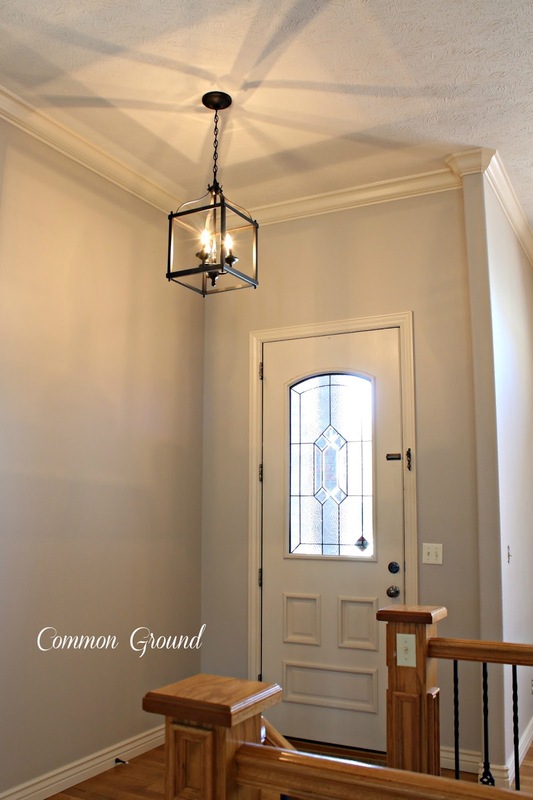 You lantern is a beauty, Debra, and it looks perfect in your entryway! Such a pretty update...love the lantern!